Sandpiper L01-New Paint! New Furniture! New Decor! New Everything! You will love walking into this newly remodeled condo with its fresh beach vibes and coastal feel. The owner has done a fantastic job remodeling this condo with soft pops of color all throughout the condo. This spectacular lanai level unit is a one bedroom, a bunk area and two full baths with sliding doors leading directly out to the pool area from the living room. You will be able to enjoy your own ground space with a table and chairs for eating outdoors and a chaise for relaxing and reading a book while the rest of your family enjoy the pool from the front of the condo. How convenient is that? This condo features a full kitchen with upgraded appliances and everything you should need to fix a meal for your family. There are flat screen tvs in every room, wireless internet, and everything else you will need for a relaxing vacation. Sleeping arrangements are: king bed in the large master bedroom and bunk beds in second room. There is also a sleeper sofa for you to use, as well. 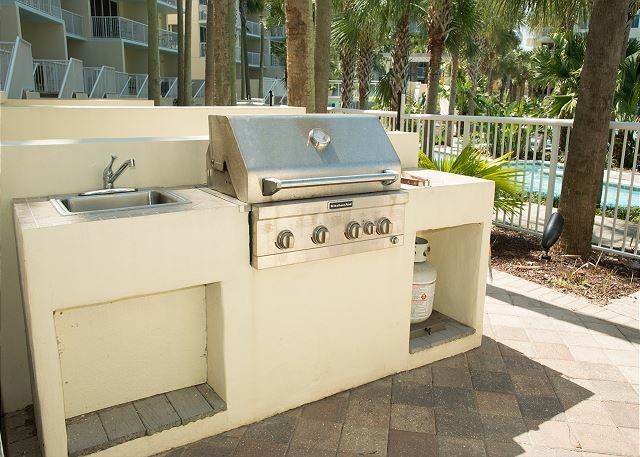 This is a Lanai unit, which offers the luxury of having its own private gas grill and outdoor kitchens and convenience of access to the lazy river directly from the back patio. You can enjoy a nice cold beverage on your patio all while watching the kids float by in the lazy river. Come and enjoy beach to bay access, a 700 foot lazy river, four heated pools, three hot tubs, a total of four swimming pools, and a kiddie splash pool. This is a much sought after resort and this is a convenient and bright condo. Destin is well known as the World’s Luckiest Fishing Village largely because of it roots as a top fishing destination and quick access to deep waters of the Gulf of Mexico. 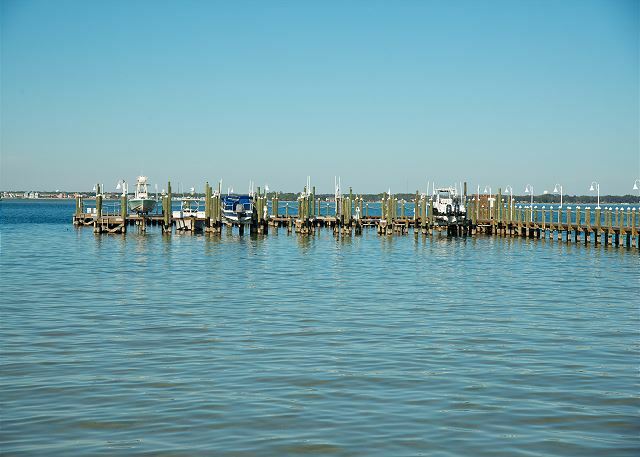 Destin boasts the largest charter fishing fleet in the state of Florida. If you have an interest in charter deep sea fishing – Destin is the place. But, there is much more to Destin than charter fishing. It is a top beach vacation destination. Featuring sugar white sand beaches and emerald colored water, it is an absolutely beautiful area. The town itself offers many upscale shopping, dining, and entertainment opportunities. Much of the development of the area has been done with luxury lifestyles in mind. Destin also has one of the busiest private airports in the country. IF YOU HAVE FRIENDS OR FAMILY YOU WANT CLOSE BY, we also manage VRBO# 950009 on the same floor as this condo. This was a very nice unit, everything was great, in working order and the property management company is super responsive. We love Destin west! Off season rates were very reasonable for such a nice place! Very clean inside. We had some problem with wi-fi connection and it was promptly taken care of. My wife really enjoyed the hot tubs and the heated pool. The kitchen was great for fixing meals. Being on the first floor and right above the garage, floors are a bit cold, so you need warm socks or slippers. Close to beaches and bay. I enjoyed the great exercise area. Lots of equipment! I enjoyed Shalimar Point Golf(just 6 miles away). Very reasonable. Wednesday special deal to Blackstone Golf course. They pick you up in Destin, serve you a drink on the limo bus ride, then 18 holes and cart all for $40 bucks!! Dolphin Cruises out of Destin(just down the road), are worth doing. Drive to Pensacola and visit the Naval Aviation Museum. Parking and admission free and tours conducted by retired aviators. It's great!! It's not as warm as Central or Southern Fl., but it is a great place to stay and get away from the cold up north! Dear Mr. Baehr, Thank you so much for this wonderful review and all of your recommendations! We appreciate the time you took to let people know the things you enjoyed most about our area! We hope that you'll come back for another warm getaway in our clean and cozy Sandpiper L-01. Until then, we'll keep the hot tubs warm for you! Dear Mr. Wallace, Thank you for your five star review! Sandpiper L-01 is a cozy condo and we're so glad that you enjoyed your stay there! We'll be here to help you book your next stay whenever you're ready to come back! Destin West always does a great job. Very ftiendly! Well equipped unit. Dear Ms. Gibson, Thank you for taking the time to leave these wonderful comments about Sandpiper L-01! We'll be counting the days until your next trip back! 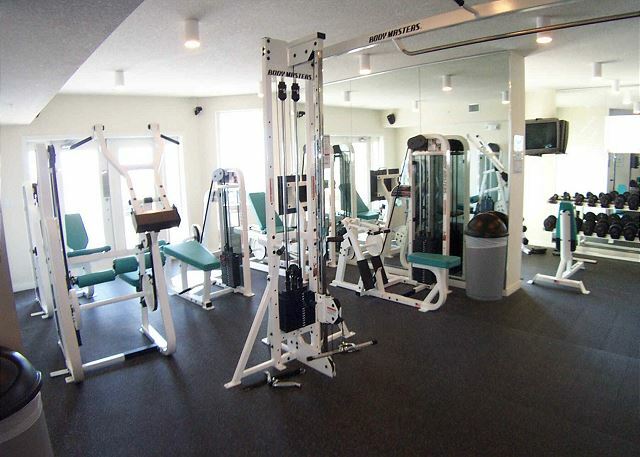 The unit was well maintained and perfectly located next to the Lazy river. The owners were very easy to work with and very detailed in their info packet. Dear Mr. Johnson, Thank you so much for taking the time to leave this wonderful review! I agree that Sandpiper L-01 is perfect for easy access to the Lazy River! We'll be standing by to help you book your next trip! My husband and I stayed in Sandpiper-L01 the first week of October with 3 kids. We had a great stay, the condo was very clean and everything we needed was included. We were provided a high chair and playpen, and when there was a problem with the high chair a few days later, a replacement was brought immediately. The garage full of beach supplies was icing on the cake, we utilized items in there several times. Thanks! We hope to return soon! Dear Ms. Jones, Thank you so much for your wonderful review of Sandpiper L-01! It is definitely one of our cozier units and so convenient to the Bayside amenities! We want to provide the best service and are always available to help in anyway! We'll be looking forward to your next stay and until then, we'll save you some sunshine! Best vacation rental my family and I have ever experienced! By far the best vacation rental my family and I have ever experienced. The privacy in the lazy river area, private grilling area, and an awesome porch overlooking the pool area and the bay. This was truly the vacation experience we were looking for and we hope to get the same rental next year and for years to come. Thank you Destin West! Dear Mr. Fairbanks, We're thrilled to hear that you enjoyed your stay with us and love hearing the things you liked best. Thank you for giving us your feedback and we'll be looking forward to having you as our guest for years to come! Beautiful Lanai Unit, loved the decorations and unit was very clean. Great service highly recommend this Rental company and this unit. Dear Mr. Baker, We're so happy to hear that you had a wonderful stay with us! It is truly inspiring to know that we've exceeded expectations and hope that you come to stay with us again very soon! We loved every moment of our stay. We actually added another week. The view was great. I loved the pool, hot tubs, etc. The living space was perfect, and the decorating was very beachy. If that's a word. We're thinking of coming back next year. The end unit lets in more light, we loved the whole experience. Dear Mr. Ewing, "Beachy" is definitely a word, and one we use often down here! Thank you so much for your sweet comments. We're always here to share the sunshine with you, whenever you choose to come back for another memorable trip to the beach! Although it was the coldest temperatures and snow reports across the State lol we still had a great time and made use of the amenities! The condo was comfortable for our family of 6! The kids enjoyed the open space for playing and having the pool/hot tub right outside the balcony. It was also nice to bbq in not negative and freezing temperatures like at home. Tupperware with lids for leftovers would be a nice addition to kitchen supplies :-) Location was pretty decent for exploring the coast as well and day trips! Dear Ms. Crawford, I'm so glad you had a place to warm your toes for a bit! Thank you so much for sharing your comments with us. We appreciate your feedback and truly take your suggestions to heart. We're happy to know you'll be recommending us to your friends and loved ones! Please come stay with us again soon! We loved our stay here. I have 2 young children, and it was absolutely perfect to get to the heated pool area quickly :) It is an adorable condo. Dear Ms. Frost, I'm so glad you enjoyed staying with us! I agree, L-01 Sandpiper IS an adorable Condo. Please let us know when we can book your next visit with us! Dear Ms. Miller, Thank you so much for your review! We truly value your responses as they provide us with direction in which areas to improve. We can't wait to see you again! we had a great week at Destin West. We usually have several condo's rented in our group. We loved the way our condo was decorated and it had everything we needed. Pam, thank you for your kind review. We would love to have you and your whole group back with us soon. We had a great time staying at Destin West-Sandpiper L01! Everything was clean. We got a text from the manager saying our room was clean, early! My kids were so excited to get in early and take advantage of the awesome lazy river. We will definitely be back! Hi Ashley! Thanks for the great review! We are glad you enjoyed your stay and hope to see you back with us soon. Thank you Chasta for the great review. We are glad that you enjoyed your vacation with us and we look forward to having you as a guest in the future. Terry I am so glad that you enjoyed the condo resort and your vacation. We like to hear that our guest having a great time and enjoying their condo. The new owners of Sandpiper L01 put a lot of time and energy into refinishing that condo. I am glad that you thought it was a success. We look forward to hearing from you in the future. We have been staying at Destin West for ten plus years as it is the perfect facility for boating enthusiast and beachgoers alike with the awesome Lazy River and excellent accommodations. Great place to stay for a family. The condo was excellent and being able to have the lazy river a few steps from the lanai was perfect. Loved this unit with its location & bright colors; being on the lower level was great to be able to easily walk to pool & lazy river. only downside is 2nd room with bunk beds had no closet. Otherwise it was great! Would stay in this unit again! My husband and I couldn't have asked for a better accommodation for our family vacation to Destin. The condo was in the best location and the property management were so accommodating and accessible. This particular condo is on the first floor with direct access to the lazy river. We just walked out our back patio and into the pool every morning. It's walking distance to every venue and attraction on the strip. We will definitely book with the owners again! This unit was perfect for our family. We have 2 young children and it was great to be located on the first level with access to the room quickly from the pool. Beach and gulf side amenities were easily accessible via the skywalk. The room was well equipped with all we needed for the week and a half stay. The grill worked out very well for the nights that we stayed in and cooked dinner. All was very convenient. We would definitely recommend for a young family and hope to come back in the future. The Destin West was a great experience for my wife and I. We definitely enjoyed the lazy river and hot tubs. Great beaches and plenty of places on the board walk to grab dinner and drinks.